In the recent years, we’ve seen a pretty big spike on data breaches. According to Bloomberg, there was a 40% increase in 2016 from the year before – that’s insane! We’re talking about hackers breaking into your accounts and stealing your information from when you used it online or at a store. Unfortunately, there is no way to completely protect yourself from identify theft but there are several things you can do to be smarter about it and stay on top of it if something happens. Review your credit report yearly. You can get a free annual credit report which lists your account and credit history. By reviewing this report on a consistent basis, you can be on top of any fraudulent activity that can ruin your credit score and immediately take action. If you’re a victim of identity theft or see something suspicious on your accounts, it’s a good idea to set up fraud alerts. Too many people let things go and more accounts are taken out in their name and then they don’t even have access to their money. Trust me- it happens! Someone else can use your account but you get locked out! Just reach out to one of the three credit bureaus (Equifax, TransUnion or Experian) to set up the alert and if fraudulent activity takes place, that bureau is required to notify the other two. I used to be in the habit of not only using the same password for everything but never changing it. Bad idea! It’s so easy to hack your password and once they get it in one place, they can use it for all accounts if it’s the same. You can use a password manager, app or a protected spreadsheet with a list of all your passwords so you don’t forget them. Make sure your passwords have a variety of characters (numbers, capital letters and special characters) and are not your birthday. 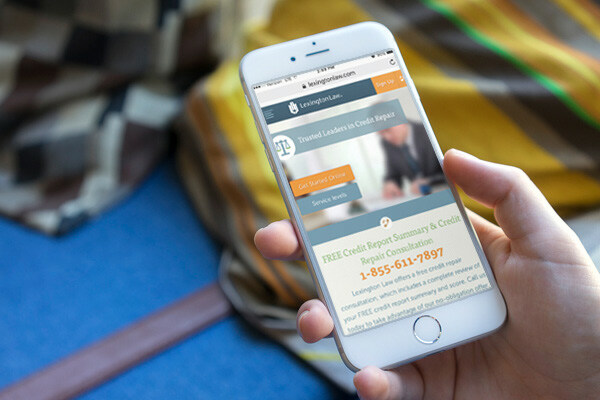 Companies like Lexington Law offer credit monitoring with a personalized dashboard, score tracker, a mobile app, and text alerts to keep you updated in real time. If you notice something, their team of experts will walk you through how to resolve it immediately. I’ll admit, I’ve been guilty of this in the past. You’re browsing online for something you just have to have, enter your credit card information and quickly realize you’re on a public network. Don’t do it! Make a note to yourself about the awesome shoes you want and then order them when you get home. It’s so easy for people to find out your account information and passwords on public networks with no security. If you’re currently a victim of identity theft or think you might be, you can freeze your credit. This just means you’re limiting access to your credit report which is used to open new accounts (credit cards, loans, etc). If they can’t pull a credit report, it makes it harder for scammers to get accounts under your name. Don’t give personal information via email. Check the sender. Is it coming from an email address that matches your previous correspondence with the company or does it even have the company name in the email? Are they directing you to a website that doesn’t look like one you’ve used in the past or has a strange url? If you’re ever in doubt, reach out to your contact within the organization via phone to see if they reached out to you. Don’t click on any links or call the number listed in that suspicious email. Scammers will also call and ask for personal information on the phone, never give it to them! I remember getting a call from someone telling me that I never paid my taxes and they needed my social security number and several other pieces of information to close the case. The IRS will never call you, they will send a formal letter making sure they get their money. If you’re not sure if it’s real or not and you’ve picked up the phone, hang up and call your contact at their number and ask for more information. You never want to give information to people you don’t know- especially your social security number and credit information. Sign up for credit card notifications. My credit card company notifies me if a purchase looks suspicious. Anything from bigger than a 20% tip to buying something in a new location to making a larger purchase. You can get a phone call, text, and/or email and all you do is approve it and then you’re good to go. It keeps you on top of fraudulent expenses in real time and you can deny the expense if it’s not yours and temporarily suspend your account. While we can never 100% protect ourselves from identity theft, it’s so important to stay on top of it. We’ve worked too hard for someone else to come in and ruin our credit. 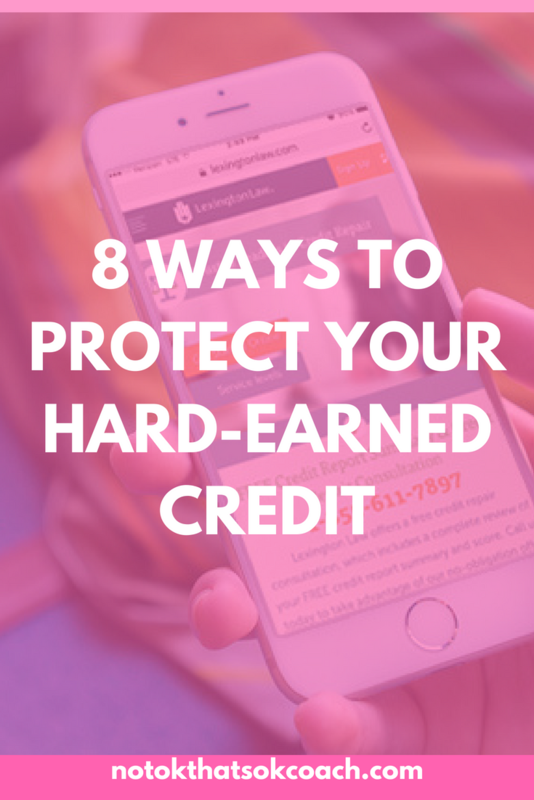 Lexington Law has great information on their blog about identity theft, credit, and credit repair to consistently educate yourself and take charge of your finances.